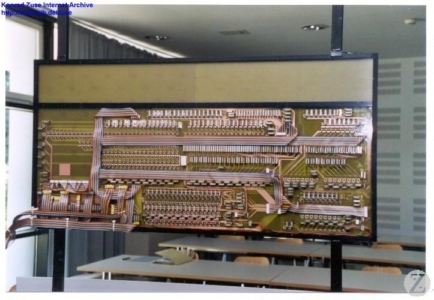 I directed the project to build a modern reconstruction of Konrad Zuse’s Z3 computer, using electromechanical relays for all the logical components (see the article published in the IEEE Annals). The reconstruction started in 1997, when I first deciphered the construction plans of the Z3. I published the result of this investigation in 1998 (Die Rechenmaschinen von Konrad Zuse, Springer-Verlag). Shortly afterwards, I started working on the reconstruction of the Z3’s addition unit. 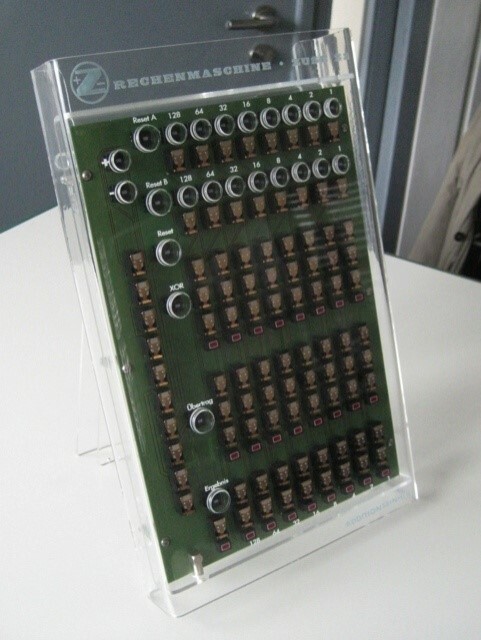 Together with Dr. Frank Darius (TU Berlin) and Georg Heyne (Max-Planck-Gesellschaft) we produced ten addition units, which were distributed to several German and American universities. The next step was to produce a working copy of the whole machine. 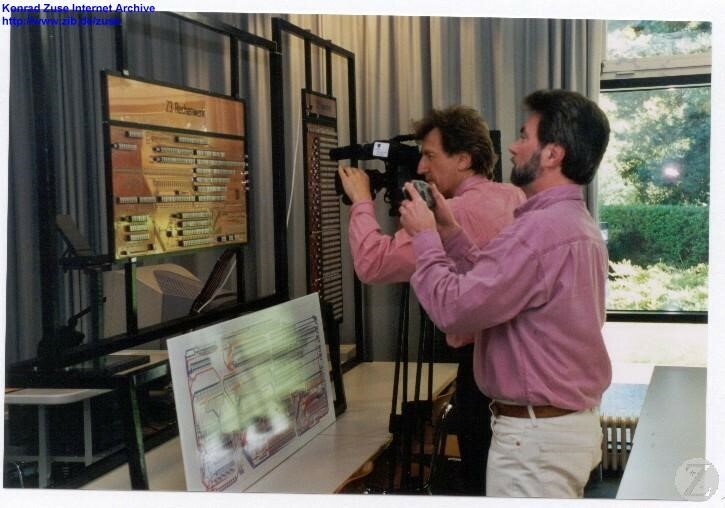 The same team worked from 2000 to 2003 until the machine was finished. 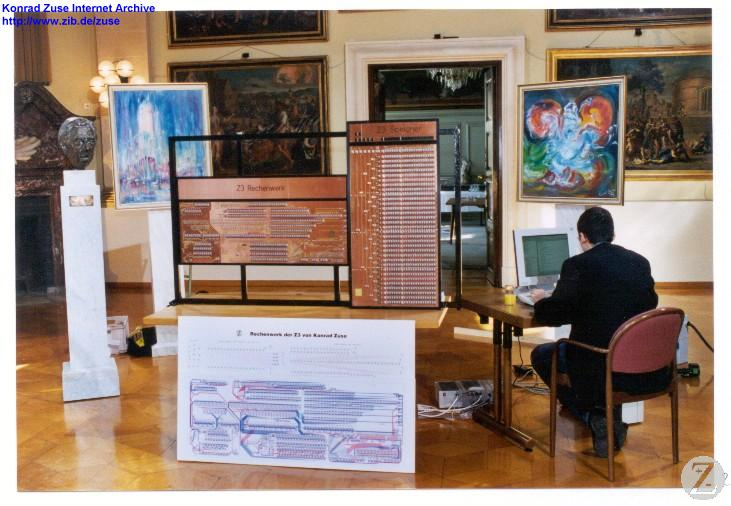 It is now part of the collection in the Konrad Zuse Museum in Hünfeld, Germany. 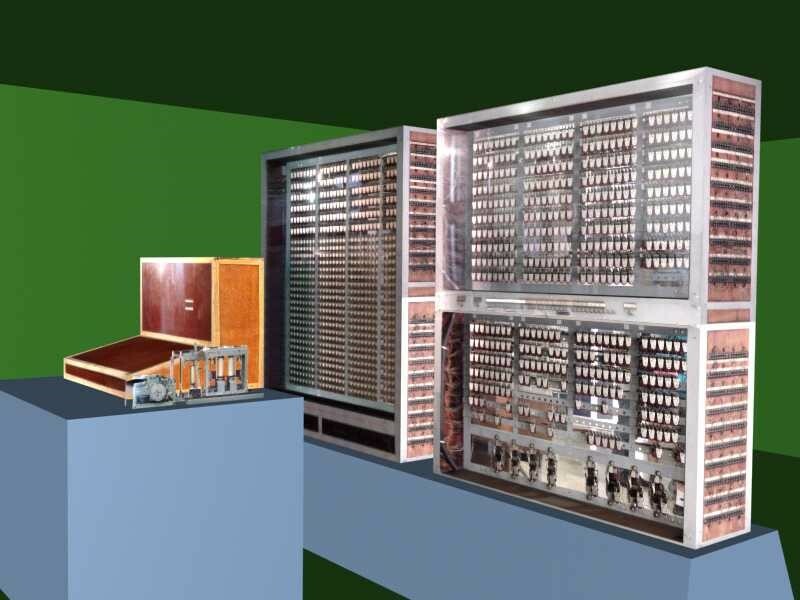 The main challenge during reconstruction was to use modern components while retaining the original circuits of the machine. 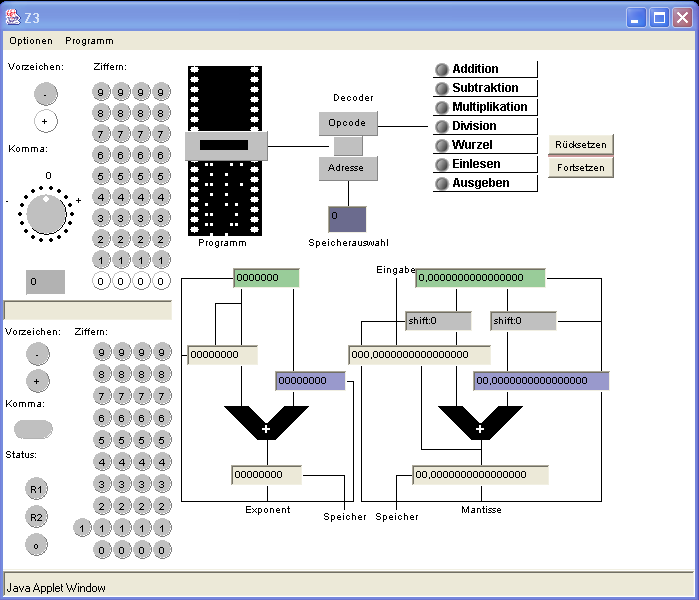 We opted for simulating the console of the machine with a computer, in order to eliminate purely mechanical components and extend the working life of the machine. The pictures below show some views of the Z3 reconstruction, a project I directed and which involved ten people from different institutions over a period of three years. 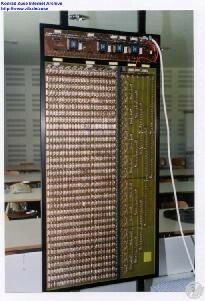 The addition unit of the Z3 contains two registers, uses two’s complement arithmetic, can add and subtract. The original Z3 worked with 22 bits and two addition units: one for exponents, another for mantissas of a floating point representation. 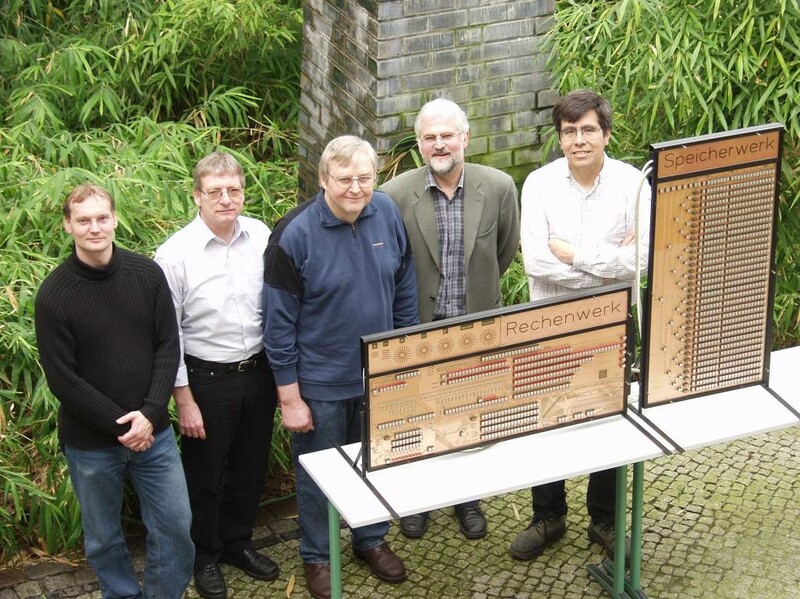 The project has been funded by the Klaus Tschira Foundation. 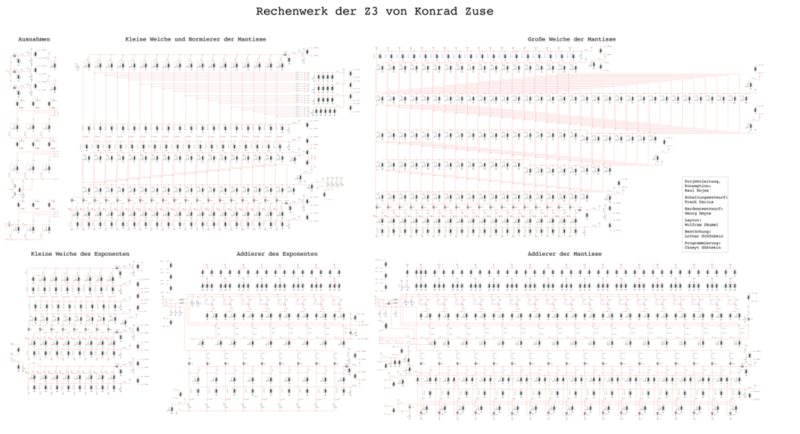 The design was made by Frank Darius, Georg Heyne, Alexander Warth and Raul Rojas.